Anton Petrovich was missing the smallest toe on his left foot because his neighbor, Mr. Laconovich, had cut it off when Anton was just a baby, sleeping in his crib. Mr. Laconovich had seen Anton’s father outside trying to persuade the family ox to pull a tree stump out of the dirt where another acre of soybeans would soon be planted. And Anton’s mother, he saw, was pinning sheets up on the line to dry, but the day was windy. It made it easy for Mr. Laconovich to step out of the woods, find Anton, and remove the toe before anyone could stop him. Now he wore the toe around his neck, and seventeen years later, the toe looked like an old piece of driftwood, dangling from a chain so tarnished no one could tell the kind of metal it was. Anton would have lost more toes and fingers had his parents not thought quickly. Word of the albino’s birth spread across the countryside like locusts. His parents shaved off all his fine, nearly translucent hair and had locks of it prepared for when strangers came knocking on the door, looking for a charm. 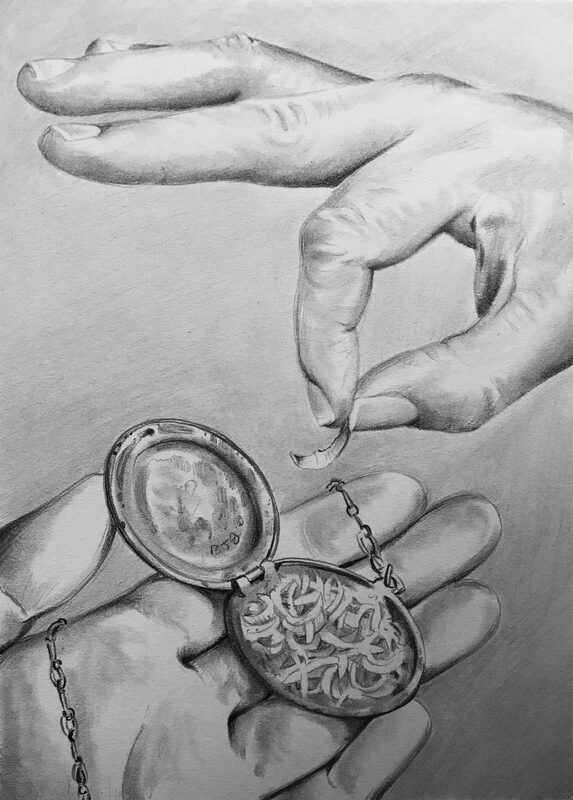 Even when Anton was older, he never went anywhere without the locket full of fingernail clippings hung around his neck. Such efforts were the only thing standing between him and his own dismemberment. Albinism ran in the Petrovich family, and there were many stories of relatives murdered for a charm. Anton’s great uncle had been cut apart and sold in the market when he was just nine. Everyone said it was a miracle he had lasted as long as that. Sometimes, Anton and Mr. Laconovich would meet — out in the woods between their farms or walking home from town on one of the dusty roads. Anton always tried to correct the small limp he had at such times. And, for his part, Mr. Laconovich would let his hand float up to tuck the little toe inside his shirt collar. It was a matter of propriety. They would help each other with groceries or confer about the dryness of the soil and whether the rains might come. But both of them knew that if Mr. Laconovich’s luck ever took a definitive turn for the worse, he would be coming for another of Anton’s toes. 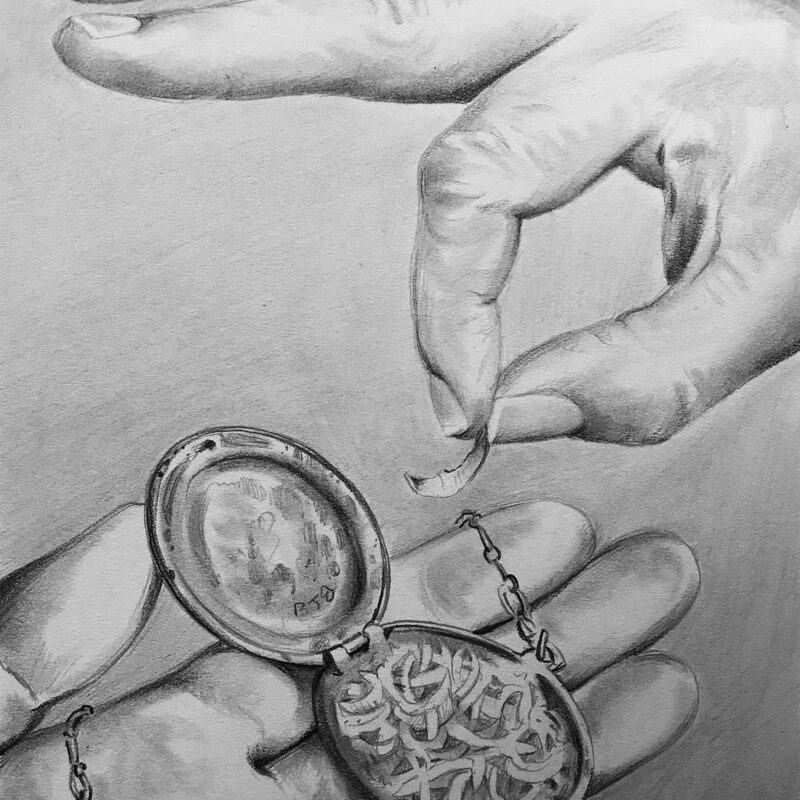 “Here,” Anton would say as they came to the junction where their paths would part, “Take this fingernail for luck.” Anton would click open the locket, select the largest nail, and hand it to Mr. Laconovich. “Thank you kindly,” he would say, placing the nail into his mouth. He would grind away at it with his molars as he walked the last two miles home, extracting and dissolving whatever luck there was inside of it. It was a gesture he had come to expect. Anton had never felt any rancor toward Mr. Laconovich. He couldn’t remember the violation, and even his parents said nothing untoward about the old man. If anything, they blamed themselves for their lack of vigilance. After all, Mr. Laconovich was only acting out of self-interest. He saw an opportunity, and he took it. It would have been unnatural to do otherwise. In fact, their families remained cordial, and Mr. Laconovich was often heard praising young Anton’s industry in the fields, his ingenuity when it came to balancing his large umbrella behind the seat of the rumbling combine. Anton continued on his way. Every now and then he would turn around to see if anyone was following him. This was his habit. His body could make someone rich if they knew what they were doing — if they understood how to cut and preserve. His head alone, it was rumored, could buy an entire farm. The breeze pushed over the ragged trees and brought with it the scent of something industrial — a whiff of oil or asphalt. A crow flapped out of an oak as Anton approached, calling to its brothers, who must have still been hiding, as it aimed the arrow of itself into the gray horizon. 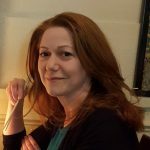 Charles Rafferty's most recent collections of poems are The Smoke of Horses (BOA Editions, 2017) and Something an Atheist Might Bring Up at a Cocktail Party. (Mayapple Press, 2018). His poems have appeared in The New Yorker, O, Oprah Magazine, Prairie Schooner, and Ploughshares, and his stories have appeared in The Southern Review and New World Writing. His story collection is Saturday Night at Magellan's (Fomite Press, 2013). He has won the 2016 NANO Fiction prize, as well as grants from the National Endowment for the Arts and the Connecticut Commission on Culture and Tourism. Currently, he directs the MFA program at Albertus Magnus College and teaches at the Westport Writers' Workshop.